Part documentary and part interactive multimedia project, the filmmakers have traveled through 7 former Dutch colonies, including Brazil, Suriname, Ghana, Indonesia, Sri Lanka, India, and South Africa, to view the effects of Dutch colonialism through the eyes of its descendents. One of this week’s can’t miss events is the opening night of the Cameras d’Afrique: The Films of West Africa festival at LACMA on Thursday, October 3. The month-long festival is a rare opportunity for American movie-goers to see a diversity of films of the West African region from the past 50 years, from recent cinema to groundbreaking classics. The opening night features 2 films by accomplished Chadian director, Mahamat Saleh Haroun: his 1999 debut feature film Bye Bye Africa and the US premiere of his latest film, Grigris, which won the Vulcan Award at Cannes International Film Festival this year. I have been waiting all summer to see Wadjda. Ever since seeing the trailer, I was immediately drawn to this story of a headstrong, rebellious young girl defying tradition in a conservative society. It might sound like a familiar theme but in this case, we’re talking about Saudi Arabia, one of the most restrictive countries in the world, in regards to women’s rights. Considering that women are not allowed to vote nor drive and any woman can be arrested for being in public with a man not related to her, the movie breaks a lot of barriers and is a rare glimpse into a very closed society. 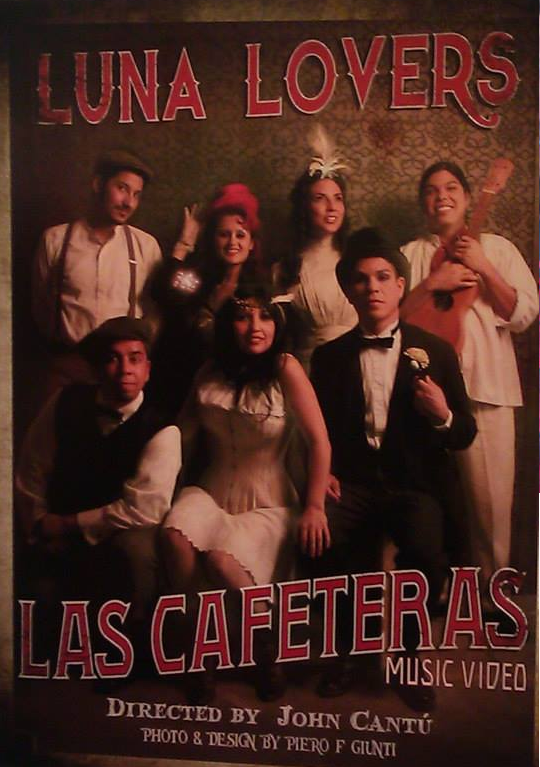 Las Cafeteras Teaser of Luna Lovers & Special World Premiere! (Update 8/8/13: Here is the online premiere of the video on LA Weekly. You can catch them next at the Peace Over Violence graduation ceremony at CARECEN on Friday, 8/9. Looks like East LA artivists Las Cafeteras have a real treat in store with their next music video with elaborate costumes & storyline befitting their enchanting song Luna Lovers. At their live performances, while their rousing anthem, La Bamba Rebelde, gets audiences jumping on their feet, Luna Lovers is a sweet ballad that has crowds swooning and I can’t wait to see it. Enjoy the sneak preview and just announced on their Facebook page, if you sign up for their newsletter on their site tonight, you’ll be one of the first to receive a link in the morning to RSVP to a very special, intimate world premiere event! Space is limited so sign up quick! The Hollywood Brazilian Film Festival returns in its 5th year featuring the latest indie film talent from Brazil. Talize Sayegh, the founder, is passionate about bringing the newest voices in Brazilian cinema to the forefront here in Hollywood, building bridges between the 2 influential hubs of film-making and showing insightful films that reflect a country and culture that is ever-changing and fast-growing. With Brazil dominating the global news lately and the social transformation that is taking place, it’s a great opportunity to see how independent Brazilian cinema is reflecting the dynamic diversity, changing times and social consciousness of the country. This year’s festival honors Anna Muylaert, one of Brazil’s most prominent and prolific filmmakers. Her films will open the festival with the international premiere of While My Guitar Gently Weeps (Além de Tudo Me Deixou Mudo o Violão) on Thursday, July 31, and close out the festival with Durval Records (Durval Discos), a cult favorite on Sunday, August 4. The festival features fiction, documentary and short films, many of them making their West Coast or US premieres, and there is a special spotlight on new Portuguese cinema too. All public screenings take place at the Egyptian Theater and are completely FREE. There are a limited number of tickets for purchase to the opening night gala on Wednesday, July 31, which will include a live performance by Brazilian samba dancers and a surprise guest from Brazil and the closing night awards gala on Sunday, August 4. Click below for the lineup and trailers and here is the full schedule.